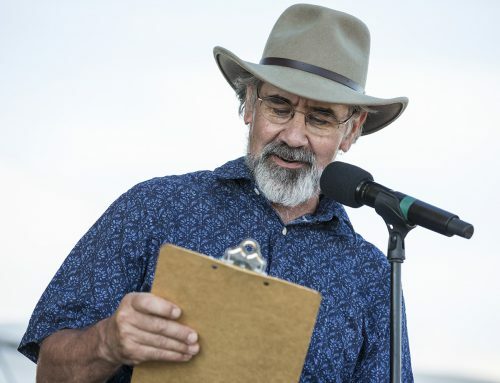 Ask longtime Kansans Dave Kendall and Laura Mead what the Flint Hills means to them and they’ll tell you it’s all about the connections. For Kendall, the emcee at this year’s Symphony in the Flint Hills, and Mead, his wife, the Flint Hills and the prairies are more than just a site they visit each year for Symphony in the Flint Hills. For Kendall and Mead, the Flint Hills are home. Kendall is a fifth generation Flint Hills Kansan whose family has lived here for more than 100 years. Mead moved to Kansas 30 years ago from Vermont after traveling cross-country with friends. After only a few days in Kansas, she knew this was where she wanted to be. The couple met through mutual friends at a gathering and became friends. Five years later, they began dating and have been together ever since. Kendall earned his master’s degree in media anthropology from the University of Kansas and produced documentaries with KTWU, the PBS station in Topeka. Mead volunteered at the KTWU while Kendall produced documentaries. The two collaborated on a 10-part series called “Beyond Theology” and traveled across the country to interview people. From that experience, Kendall and Mead thought they would enjoy working together and luckily, it turned out that was true. After 27 years of working in public television, Kendall retired from KTWU, and with Mead, created Prairie Hollow Productions based in Dover. The name Prairie Hollow comes from Kendall’s family history in the Flint Hills and Mead’s hometown of Shaftsbury Hollow, Vermont. Since creating Prairie Hollow Productions in 2015, the couple has produced two documentaries: Tallgrass Prairie National Preserve and Prairie Women: Engaging Women of the Flint Hills. “When you actually come and put your feet on the prairie and you see the tallgrass and you see the vista, you realize — ‘Wow, we live here,’” Mead said. 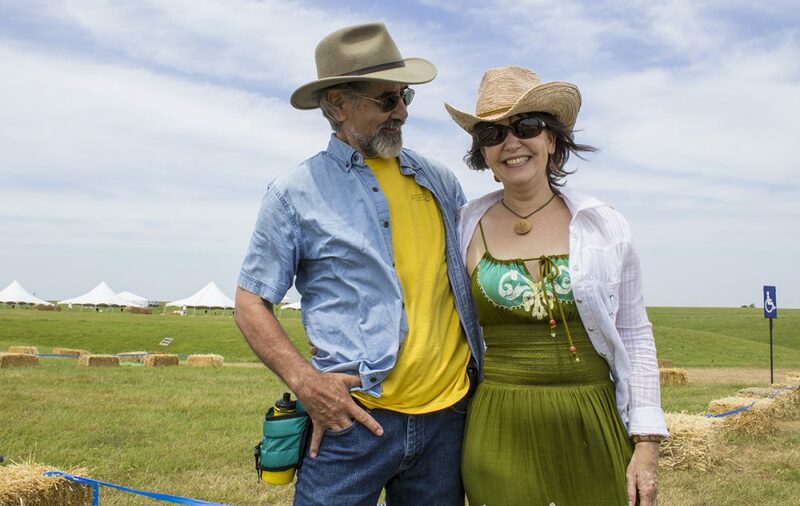 The couple are long-time Symphony in the Flint Hills attendees. He produced a story from Emily Hunter Connell’s perspective and what it was like to do this type of event. Excited about the story, he shared it with Mead and the two made a point of attending the event to experience it with friends. A few years later Kendall received a call from Connell asking if he’d be interested in being the emcee. With a chuckle, he joked that for some reason they just keep asking him back after that. As emcee, Kendall provides announcements and helpful information before and during the concert. Kendall and Mead said they believe Symphony in the Flint Hills allows people to immerse themselves in all the best things about Kansas and the people who live here. For many, the tradition is a favorite moment of Symphony in the Flint Hills, but for Mead, Kendall and other long-time attendees, it’s more than a moment.